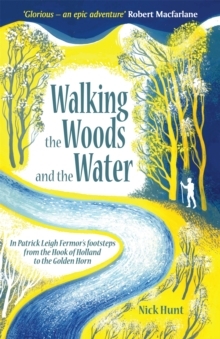 SHORTLISTED FOR THE STANFORD DOLMAN TRAVEL BOOK OF THE YEAR AWARDA Financial Times Book of the YearA Spectator Book of the YearA Daily Telegraph Book of the Year'Travel writing in excelsis' -Jan Morris, author of Venice'A thrilling and gorgeous tale, packed with meteorological wonder' -Amy Liptrot, author of The OutrunNick Hunt sets off on an unlikely quest: to follow four of Europe's winds across the continent... His wind-walks begin on Cross Fell, the highest point of the Pennines, as he chases the roaring Helm - the only named wind in Britain. In southern Europe he follows the Bora - a bitter northerly that blows from Trieste through Slovenia and down the Croatian coast. 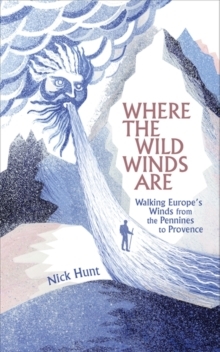 His hunt for the 'snow-eating' Foehn becomes a meandering journey of exhilaration and despair through the Alpine valleys of Switzerland, and his final walk traces an ancient pilgrims' path in the south of France on the trail of the Mistral - the 'wind of madness' which animated and tormented Vincent Van Gogh. 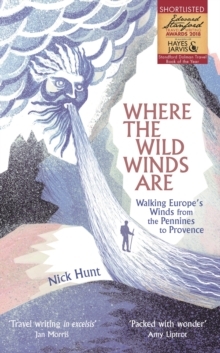 These are journeys into wild wind, but also into wild landscapes and the people who inhabit them - a cast of meteorologists, storm chasers, mountain men, eccentric wind enthusiasts, sailors and shepherds. Soon Nick finds himself borne along by the very forces he is pursuing, through rain, blizzards, howling gales, and back through time itself. For, where the wild winds are, there are also myths and legends, history and hearsay, science and superstition - and occasionally remote mountain cabins packed with pickles, cured meats and homemade alcohol. Where the Wild Winds Are is a beautiful, unconventional travelogue that makes the invisible visible.